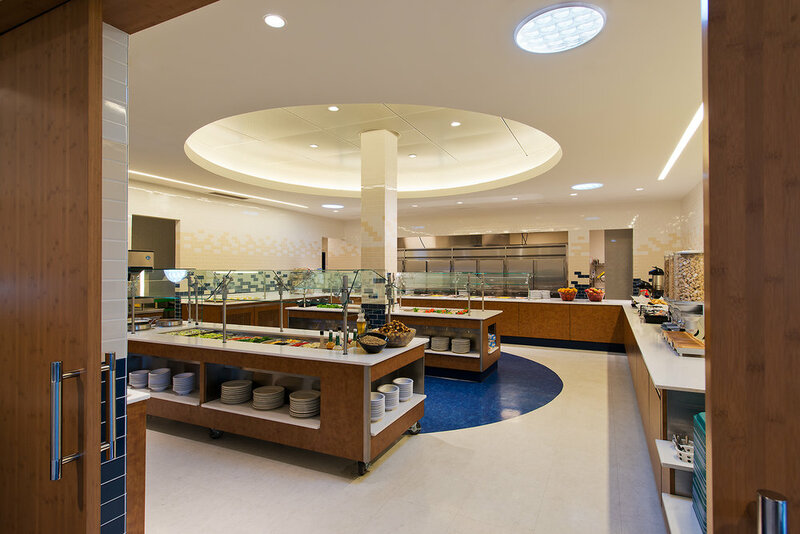 SKA provided A&E services associated with the design of renovations to both the Holton Arms Administration Building and Dining Building. The projects are 8,000 sf and 14,000 sf respectively. The Holton Arms School is a prestigious, independent 3-12 school that was founded in 1901. SKA has designed major renovations of the Administration building and the Dining building, as well as a finishes master plan for the campus. The Administration Building was constructed in the 1960’s and acts as the front door for the campus. The building houses the offices of the Head of School, administrative offices, bookstore, student lounge, and meeting rooms. The entrance was expanded to incorporate an existing loggia. Two new monumental stairs were constructed, and a skylight installed above the two-story space. An alumni class gift, a replica of an archway over the door to the original school building in DC, was incorporated in the design. 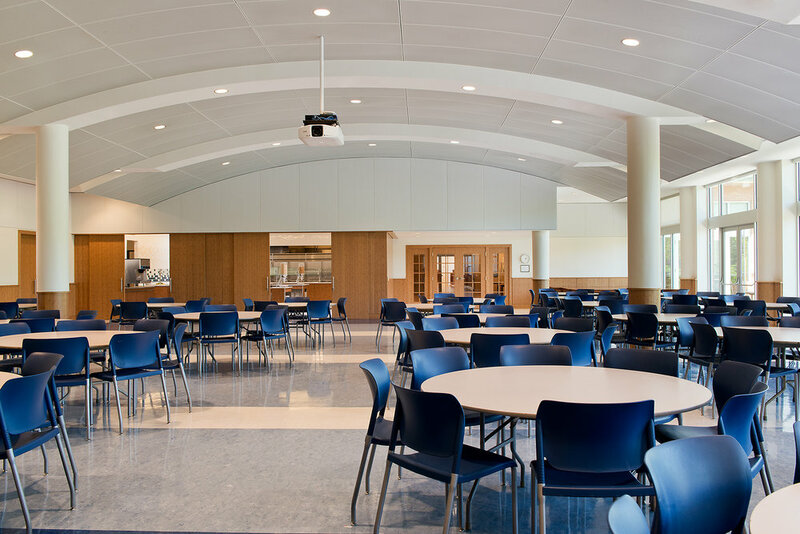 The Dining building dates from the 1960’s, and required a substantial renovation including a complete demolition and reconstruction of the dining hall, kitchen and servery. The project includes a 350 seat dining hall, kitchen, servery, art gallery, the Holton Arms Founder’s room, advancement offices, and conference rooms. Additionally the exterior dining terrace was reconstructed to improve water tightness and durability. Daylighting was provided by the use of Solatubes.